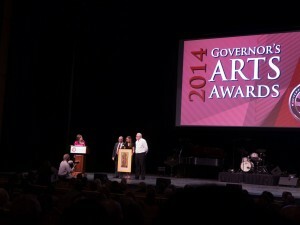 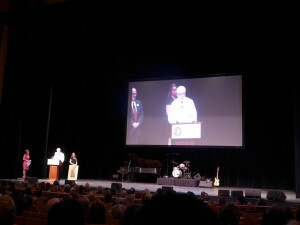 Daniel Buckley gives his acceptance speech at the 2014 Governor’s Arts Awards. A copy of Buckley’s acceptance speech can be seen by clicking this link. 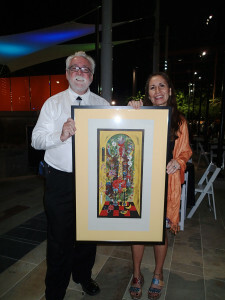 Buckley with artist Monica Aissa Martinez and her lithograph, Al Chemical Action, which came was part of the award. 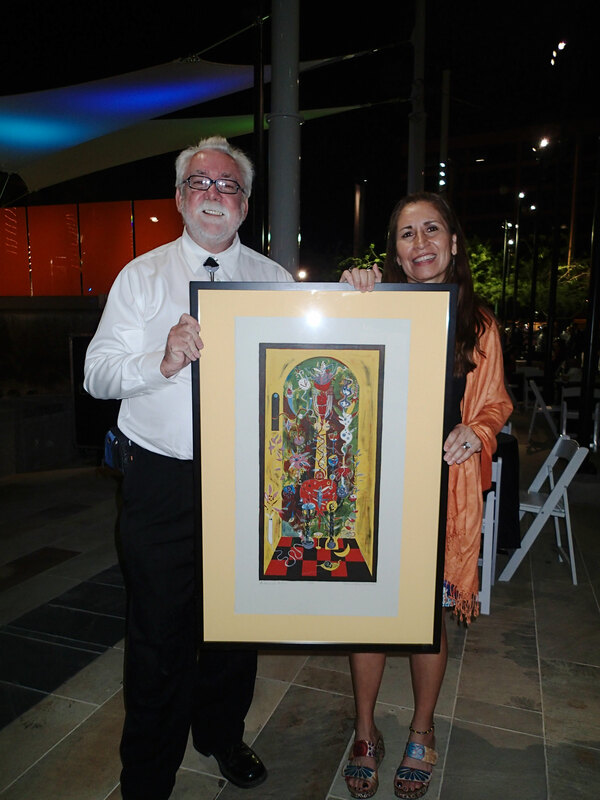 A beautiful lithograph by Monica Aissa Martinez was part of the prize. 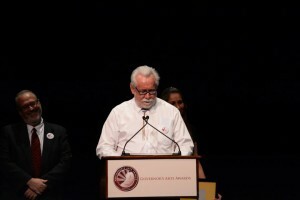 ~ by Daniel Buckley on April 3, 2014.